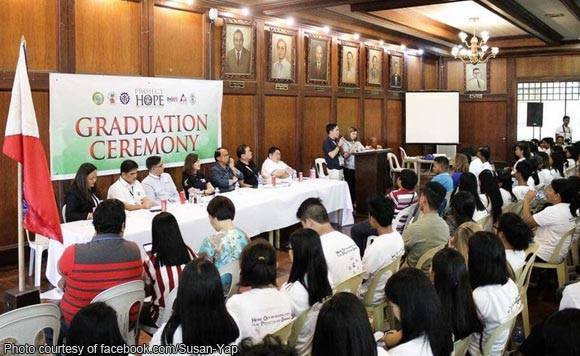 Tarlac Governor Susan Yap attended a graduation ceremony for beneficiaries of Project HOPE, an education-related program, her Facebook page revealed Sunday. The governor said that 96 percent of the 454 graduates have either been employed or started their own livelihood businesses. “Well done! Wishing you guys more successes! Trabaho muna! Edukayson muna!” Yap wrote.